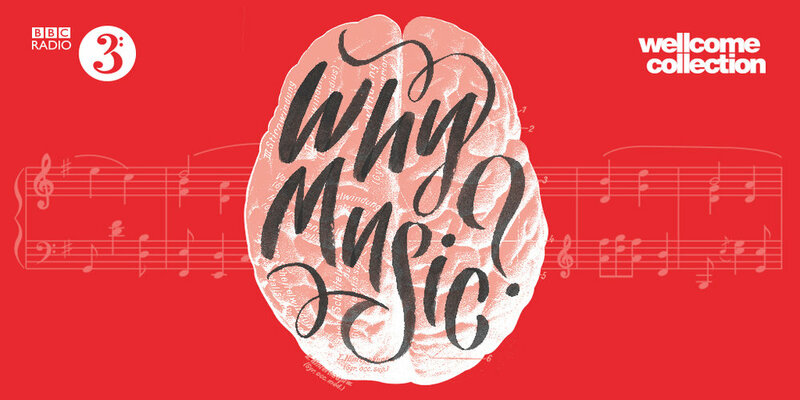 Created Out of Mind joined the BBC Radio 3 residency 'Why Music? The Key to Memory' at Wellcome Collection on 13th-15th October. Our work on music and dementia featured in live events and broadcasts throughout the residency, including new choral pieces, panel discussions and the voices of people living with dementias interspersed with music. Writer and Created Out of Mind collaborator Philip Ball opened the weekend with his documentary 'The Seven Ages of Memory', which explores what our relationship with music reveals to us about memory, the human brain and neurodegenerative conditions like dementia. Mind, Body and Song explores the eﬀect of choral singing on people living with dementias and their caregivers, with an ongoing singing group at Wigmore Hall. Measures include stress hormone levels and subjective wellbeing. Led by Paul Camic. Play it again explores the impact of familiar and unfamiliar music for people living with and without dementias, by measuring physiological responses such as pupil dilation and skin conductivity. Led by Nicholas Firth. Music for Life 360 builds on Wigmore Hall’s Music for Life programme, applying technologies to capture the impact of interactive music sessions for people living with dementias, care staff and the professional musicians involved. Led by Julian West. Plus, the panel described their experience of performing with those who live with a dementia, and how music can provide powerful anchors to identity and the present. This included live musical performances, location recordings of the Wigmore 'Singing with Friends' choir, and the chance for audience questions. BBC Radio 3 broadcast a one-off, six-hour programme featuring the voices of people living with dementias, carers and family members, taken from the Created Out of Mind Talking Life project. The all-night programme featured everyday observations on life, dementias and general topics, and was blended with music in an uninterrupted sequence. Artist, singer and electronic composer Hannah Peel joined BBC Radio 3 and BBC 6 Music to explore music, memory and dementia. Hannah performed and talked about how her personal experiences with dementia inspired her music, and set her on a journey of scientific and creative discovery that brought her to Created Out of Mind. The Fellowship Octet from the National Youth Choirs of Great Britain, performed four world premieres live at Wellcome Collection, inspired by Created Out of Mind research into the experience of people living with dementias. Sara Mohr-Pietsch introduced the performances, talked to the young composers from the BBC Proms Inspire scheme and their mentor Kerry Andrew about the project and how their perceptions of dementias had been shaped as part of this collaboration. Created Out of Mind collaborator Susanna Howard also highlighted the texts, words and co-creative work behind the stunning pieces. The NYCGB Fellows perform live on stage at Wellcome. Sara Mohr-Pietsch interviews the Composers from the BBC Proms Inspire Scheme. Tracey Shorthouse from our Talking Life series speaks on her experience of dementia to kick of the final programme of the Why Music? weekend. BBC Radio 3 resident expert Philip Ball joined Tom Service and Sarah Walker to look back over the weekend and share personal highlights and discoveries. This included our work to explore the impact of music 'in the moment' and our collaborative piece with Kerry Andrew, inspired by an experience of semantic dementia. We also ran a number of pop-up, interactive music sessions over the weekend at Wellcome Collection's Medicine Man, inviting people to explore how music and improvisation can help us to experience the present, express ourselves, and communicate with others without relying on memory or words. We had a wonderful response and visitors of all age groups got involved in co-creating music with Julian West and musicians from Wigmore Hall and The Royal Academy of Music. All broadcasts will be available for a maximum of 30 days on the BBC website (from 14th October 2017). A big thank you to the BBC, Wellcome, our network of collaborators and the people experiencing dementias that have contributed to this weekend.